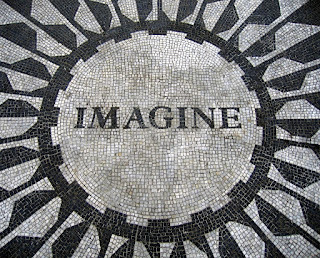 Today is the 29th anniversary of John Lennon's murder outside his Dakota appartment in New York City. I remember the day it happened. I was in high school and I heard the news from my English teacher. Instead of teaching us that day, she played his songs and cried. All the students looked at each other, feeling awkward. We were a little too young to understand what all the fuss was about. 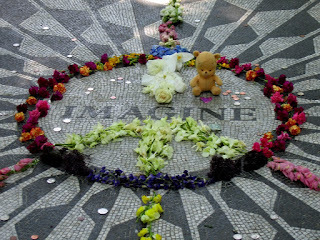 Years later, I travelled to Strawberry Fields in Manhattan and saw the memorial. His message of peace and love still holds strong. Perhaps more now than ever.